Born in Japan, where unity and similarity are valued, Naomi was raised and trained in the US, a country known for cherishing individual success and diversity. 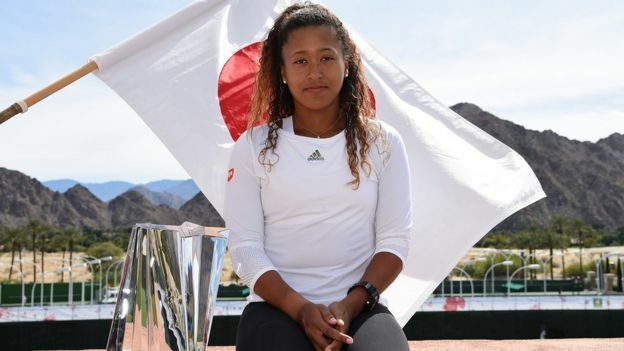 After her win against Serena Williams at the US Open earlier this month, Naomi Osaka became the first Japanese tennis player, male or female, ever to have won a Grand Slam. Her opponent Serena Williams’ attitude during their championship match seemed to overshadow Naomi’s victory. But her reaction during the match and the trophy ceremony afterwards also gave away some clues to the secret of her success. A bi-racial Japanese-American dual national, Naomi brings to the court the best of both the east and the west. Like a samurai, she has nerves of steel, which helps her zero in on the task at hand and think of little else. Indeed, she displayed incredible concentration in her final match in the court that fateful day at the US Open despite all the drama unfolding around her. Her humility, a direct consequence of her inherent Japanese shyness, is to such an extent that during the ceremony she did what a Japanese would do and curbed her enthusiasm. She looked aloof and showed almost no joy of winning. Amid sounds of spectators booing the umpire, Carlos Ramos, Naomi bowed to them and, in her trademark awkward teenager conversation style, thanked them for watching the game. She even apologized for her win: “I’m sorry it had to end this way. I know you were rooting for [Serena],” she said. Alongside these Japanese traits, Naomi also has tremendous ambition to win and the physical strength to do so: She never lost the first set in TK consecutive matches. When she did reach the semi-finals at the US Open, it was something no Japanese woman tennis player had ever done, except Kimiko Date 14 years ago when the pace with which women’s tennis was played was nowhere near what it is today. Unsurprisingly, her championship victory was splashed all over the Japanese papers the next day. “The first Japanese achievement” read one of the headlines. Prime minister Shinzo Abe tweeted to congratulate her. Not so big in Japan? Until now. 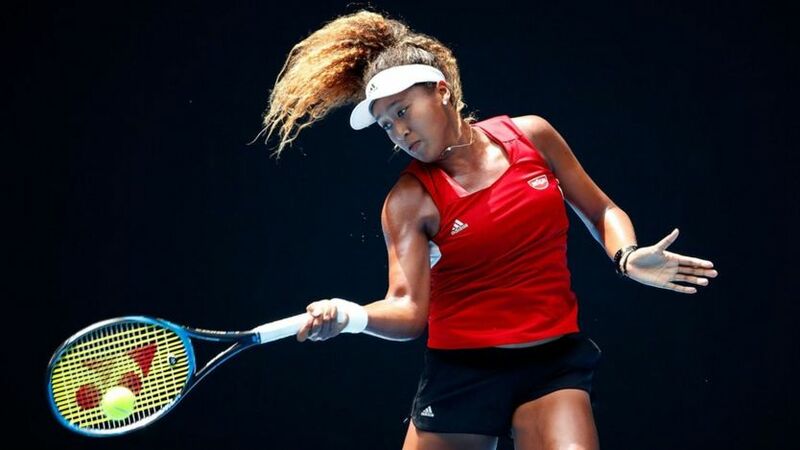 Currently ranked 19th in the world, Naomi is almost certainly expected to represent Japan, her country of birth, rather than the US, where she developed her tennis career. But there’s a problem: Despite all the hype, Naomi’s bi-racialism, which is widely common in the west, makes it still difficult for her to be accepted by some people in her home country of Japan in the east. Japanese word for bi-racialism is somewhat contradictory: hāfu. It comes from the English word “half” and describes someone who is ethnically “half Japanese”. This is where the problem starts in Japan — a homogeneous society with one nation, one language, and one culture. The island nation is perhaps the least ethnically diverse society in the world since the 17th century when the Tokugawa shogunate closed it to the west. Yet, an increasing number of hāfu argue that they are not “half” but “double” Japanese and resent Japanese society to impose unity on them all the time. In Japan, the need to abide by the norms starts by the person’s name. The citizenship rules are such that it’s not enough to be born in Japan; your father or mother also needs to be Japanese. Birth certificate (koseki) is always issued under the Japanese name. In case the father, like Naomi’s, is the foreign parent, most bi-racial children opt to stray from the usual practice in other countries of getting the father’s last name, and opt to get the Japanese mother’s last name instead in order to make their name sound full Japanese. One wonders if the reaction in Japan would be any different if Naomi was half white instead of half black. Likewise, when Naomi was hoping to get sponsorship from the Japanese raquet brand Yonex, she chose her Japanese mother’s last name “Osaka” over her Haitian-born American father’s “François”; she still uses the Japanese last name. Known those close to her as Naomi-chan, she can easily traverse between the two races like any bi-racial child does. This includes, for example, inadvertently making a V-sign when posing for pictures — like a “kawaii” (cute) Japanese girl. Since she is not as fluent in Japanese as she wants, Naomi prefers to answer questions from Japanese media in English. This preference supports the impression of her by right-wing Japanese that her native language isn’t Japanese and that she can’t therefore be full Japanese. Bi-racialism is a hot topic in Japan where 20,000 mixed-race babies are born every year. “Hāfu”s are prominent especially in Japanese art, entertainment and sports world, and have a certain appeal: J-pop queen Namie Amuro (one-quarter Italian); sprinter and 2016 Rio Olympics silver medalist in Japanese 4×100 men’s relay team Asuka Cambridge (half Jamaican); and supermodel Kiko Mizuhara (half American) come to mind. Yet, perceptions totally change outside the showbusiness. Prejudice by Japanese companies and the society in general put obstacles in front of bi-racials in all parts of life — from setting up a home to finding a job. The reason is that the Japanese companies still think their customers want to be served by a “full” Japanese and not a “half” one. Ariana Miyamoto was crowned 2015 Miss Universe Japan. Even though it’s not openly discussed, it’s possible to say that an invisible ranking exists among mixed race individuals in Japan. Japanese-Asian marriage is quite common and the Japanese society is relatively more accepting of these unions are due to the physical similarities of these two races. An example of this is the community of Korean Japanese whose members were born in Japan and have been living her for generations. 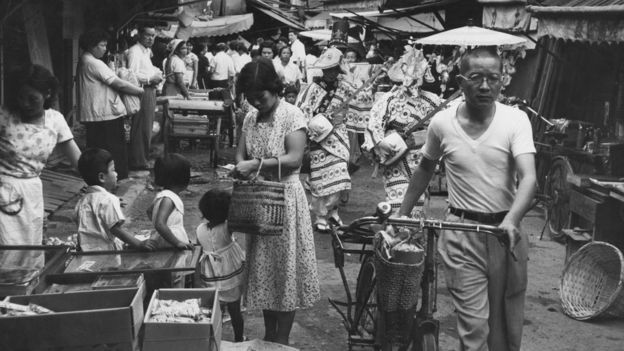 Japanese-white marriage is also recognized and accepted more since the end of WWII. Yet, the Japanese-black marriage and the fact that children like Naomi and her older sister born to these parents are the hāfu that least resemble Japanese physically still prompts questions in the minds of conservative Japanese as to how much Japanese these children are and to what extent they represent Japan. The most obvious example of this identity clash happened in 2015 when the crowning of a Japanese-black bi-racial woman named Ariana Miyamoto as Miss Universe Japan led to controversy. Miyamoto, who went on to get one of the top 10 spots in finals in Las Vegas that year, opened a new leaf in Japan’s concept of beauty. As Miyamoto example shows, it is less and less important for younger generation Japanese whether someone who represents them is hāfu or not. Now everyone in Japan is expecting older generation to break these invisible cultural barriers on the road to 2020 Tokyo Olympics when the whole world’s eyes will be on Japan. Yet in practice, things aren’t so easy; Japanese-black hāfu’s claim they are still being discriminated against in everyday life. Some traditional critics say that the Japanse would never knowingly dicriminate against different races. They believe that the matter is just a misunderstanding due to cultural isolation and differences, and argue that the whole issue is being blown out of proportion. In fact, the future of the world is supposed to look multi-cultural and multi-racial like Naomi’s. It’s not surprising that the team that won her the championship includes a white, a black and an Asian.